As IGN states in its review, this issue gets as close as you can to ‘evoking that sickening sensation in the pit of your stomach’. The word ‘intense’ does not do this installment justice. The full review is here. That piece has all the words I can summon about this fantastic, moving, gripping work. 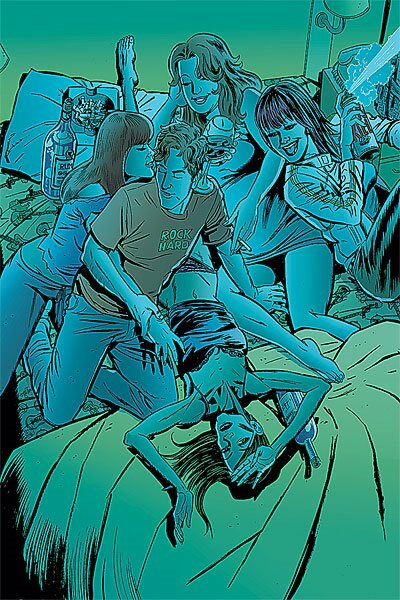 In fact this week was a great week, what with Captain Britain & MI13 #13 giving us some serious horror action and proper heroics in the continuation of Paul Cornell’s ‘Vampire State’, and Young Liars #15 continued its hallucinogenic ride through readers bewilderment, riding roughshod, with Sadie on the shotgun. They both came a close second, their qualities numerous, the enjoyment factor high. 1) Despite this issue supposedly being a breather and a bridge between the last arc and the forthcoming ‘Self-Preservation Society’, this had more incident, action and plots than most anything else around at the minute. 2) Billy Butcher was in action. That is good enough for comic of the week. Plus, the few panels of action between The Female and The Frenchman said more than it takes most comics whole issues to do. 3) This issue gave us enough of an idea of whats coming next to suggest that Ennis is really upping the stakes with ‘The Self-Preservation Society’. ‘The Boys’ has a lot to recommend it, but this next arc – inked by the legendary Carlos Ezquerra – is going to take this title to a whole new level. I am sure of it. All this, and Herogasm #1 is out soon. Good times. 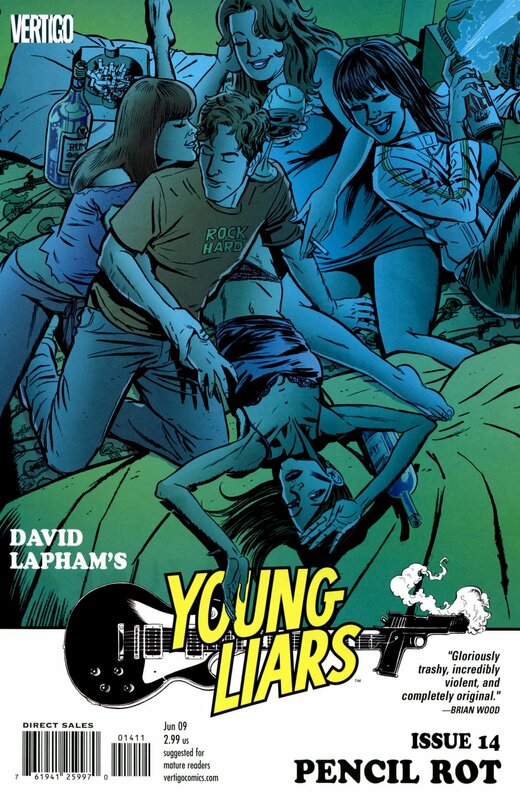 Young Liars #14 was just more proof that this series gets better with age – it is a confusing, sprawling epic, where reality is at no fixed address, but blimey it ROCKS. Marvel Zombies 4 #1 further enhances the reputation of the Van Lente / Walker team up and shows that their success on Marvel Zombies 3 was no fluke. 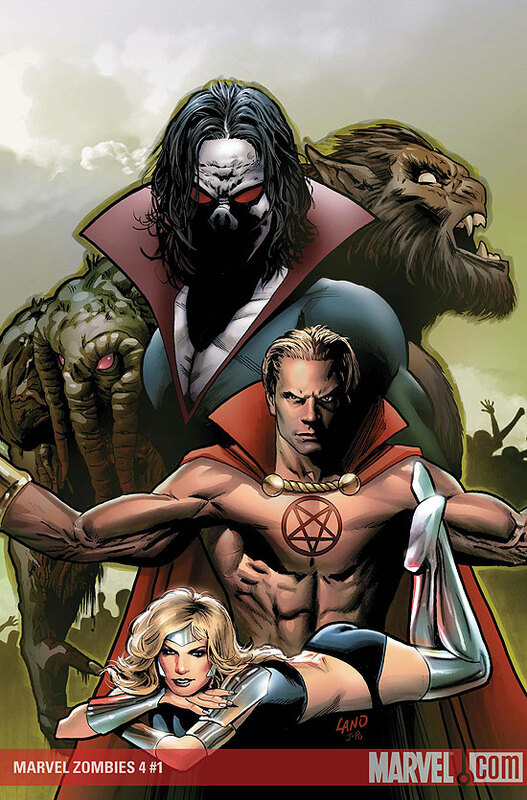 Why don’t they get to run with the Marvel Zombies franchise with a monthly title? Also worthy of mention were the Captain Britain & MI13 and Infinite Horizon releases this week. Captain Britain vs Dracula sounds like it should be from his original run in the 70s, but trust me, this title is a must. Superbly written by Paul Cornell, it demands a wide audience. A close third this week. Infinite Horizon – all I can say is welcome back! Great writing and magnificent art. Captain Britain continues to be great, as it maintains a real British vibe with some great choices for supporting characters (such as Blade). Lots of vampires this issue, and how can you go wrong with that? 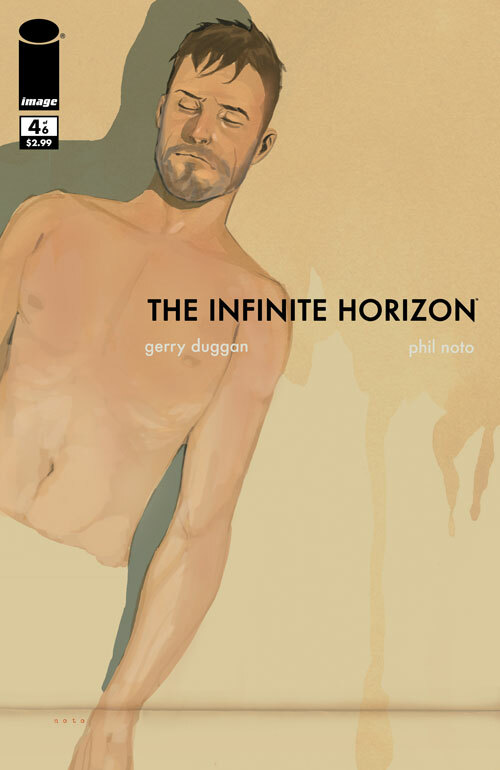 I have already written about Infintite Horizon in the last couple of days, but I will say again ABOUT TIME TOO! 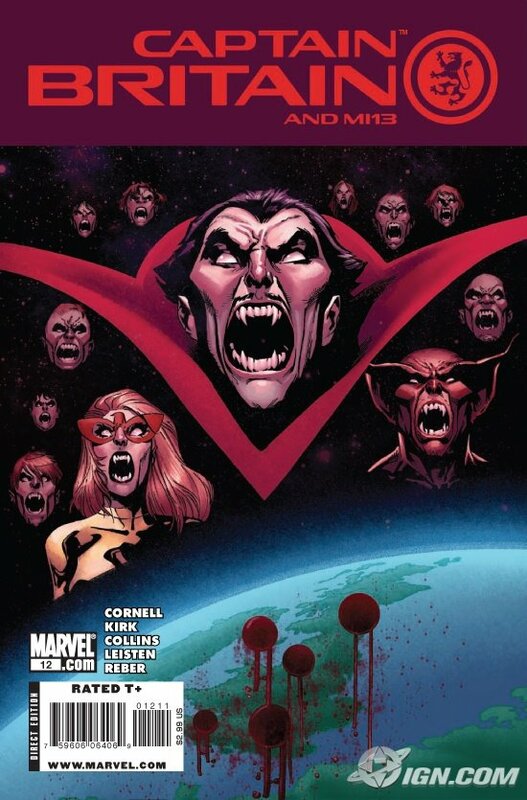 Another highlight is the return of the Marvel Zombie franchise, with The Midnight Sons, under the leadership of Vampire Michael Morbius and under the command of A.R.M.O.R., hunt zombies who have escaped to different universes. Meanwhile, The Hood makes his own plans to capture the virus for his own ends. This should be great, especially as Fred Van Lente did such a great job with Marvel Zombies 3. Read more about it here. Finally, Young Liars #14 arrives this week to confuse and exhilirate in equal measure, but it is always welcome and it is always either good or, as it has been lately, excellent. This time around, it looks as if Annie X is the focal point. Issue #59 was less focused on relationships, and all about the action. As thrilling as this was, it didn’t feel quite as satisfying as the last 2 issues, where the focus was more on exploring the dynamics between various characters. 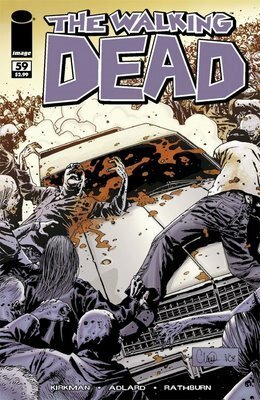 What ‘The Walking Dead’ did provide was thrills, and it looks as if issue 60 is going to provide more of the same. Review here. 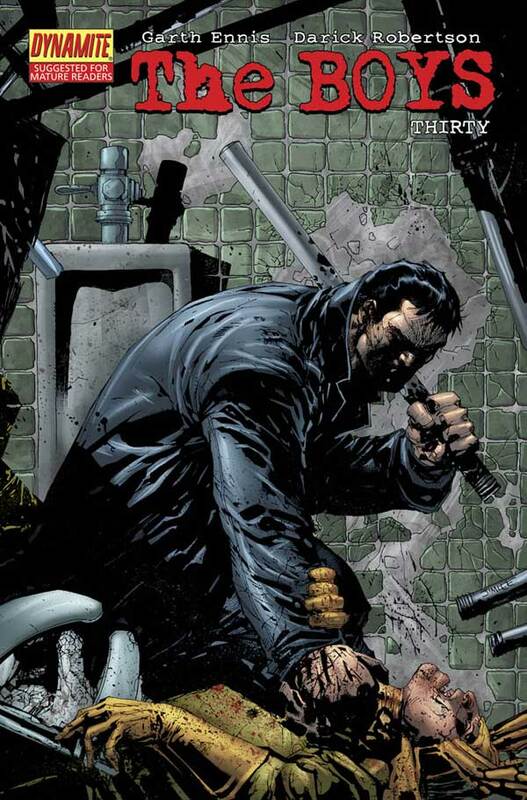 and right at the end of the issue, saving the best until last, the blackest evil that is Randall Flagg…. A real highlight of the Marvel line-up. Inspired, brilliant and unhinged – all qualities missing from a lot of titles, but generally never in short supply on this one. 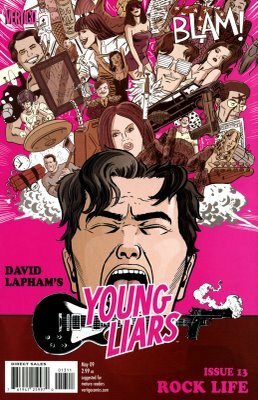 ‘Young Liars’ is a disorienting pleasure, giving you queasy thrills while making you question what is real within the world that Lapham populates with the likes of Danny Noonan, Sadie Hawkins and the nefarious conglomerate, Brown Bag Holdings. In this issue, Danny Noonan turns out to be some guy called Johnny Jukebox, and Sadie is actually a girl called Loreli. Well, maybe….you cannot take anything for granted with the ‘young liars’. Great issue, and the pick of the bunch this week. Review here. There were some other decent titles out this week, with Batman – Battle for the Cowl #1, and Captain Britain & MI13 #11 being especially worthy of mention. 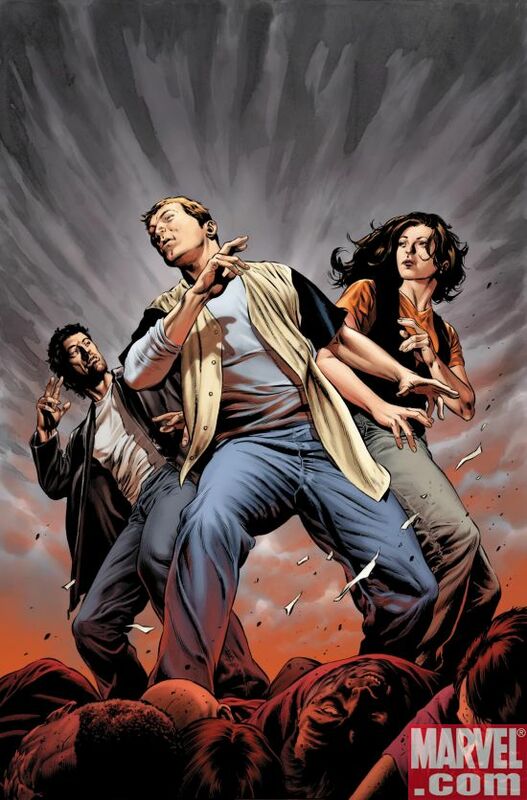 The Captain Britain title has quickly moved on from its roots in the Secret Invasion to become something unique and British, while managing to incorporate and integrate into the wider Marvel Universe. Unfortunately, one of the titles I was looking forward to, Resident Evil #1, turned out to be ridiculous (since when has Resident Evil been set in space??? ), monotonous (the action sequences seemed stilted and predictable), and the writing jarred (an example being the lyrics-quoting STARS team leader). No Chris Redfield, no fun and no point. I hope it picks up in quality quickly.